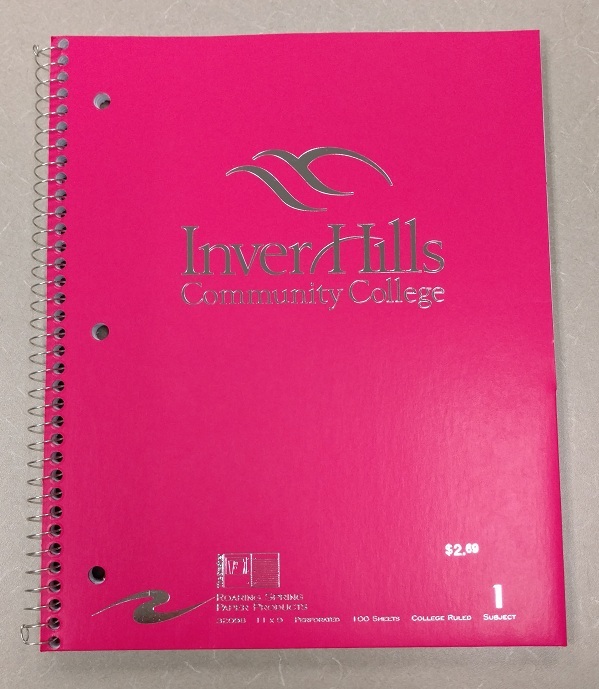 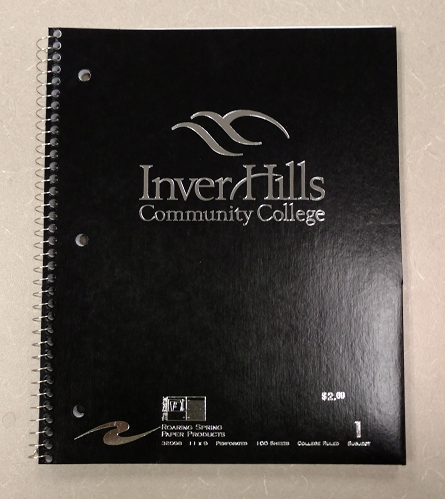 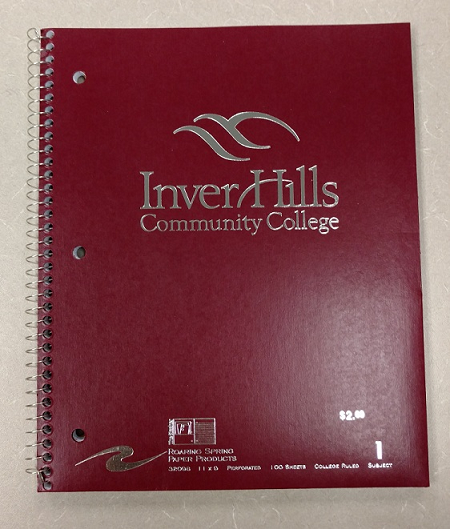 1 subject spiral bound notebook with the Inver Hills logo on the front. 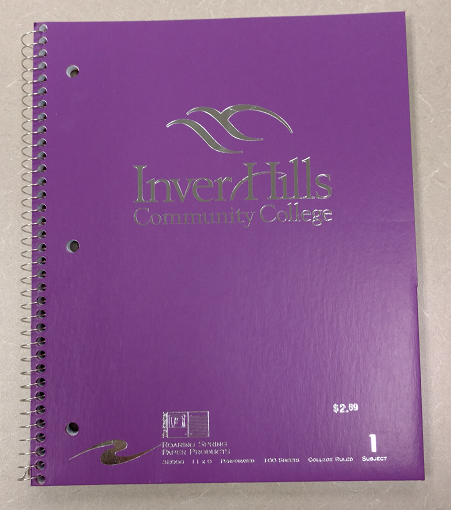 Comes in a multitude of colors. 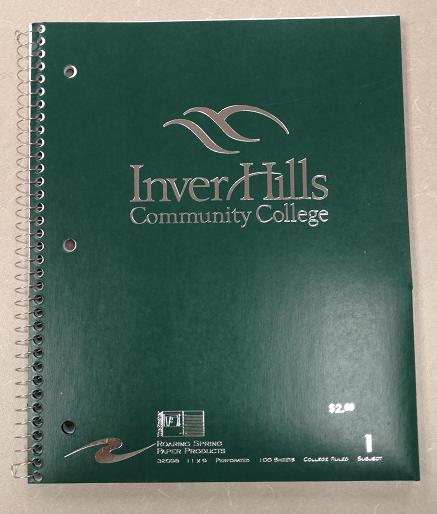 100 pages per notebook.